I'm a guy who could be considered VERY successful with women. It wasn't always so. I remember always being interested in women... even in Kindergarden. I remember there was the REALLY cute girl named Laura. Now EVERY guy in the class LOVED her... and this was in KINDERGARDEN. She had these cute little brown locks and she would wear those little ruffles tights. I even remember one day, we were all sitting cross legged on the floor, and she was in front of me and she stood up... I couldn't resist the urge to flip up her dress! - I got busted by the teachers aid for that - I guess it all started early for me. Then in 3rd grade I remember sitting under a desk watching a movie in the class with the lights turned off and there was a cute girl sitting under there with me. That was my first kiss! Now, in college I was pretty successful with women. I hung out with a group of guys that were "Naturals" and we would frequent places that chicks hung out and always have a good share of women around. Now it was during college that I actually started to formally study this stuff. I learned all kinds of different "system" and read all kinds of pop psychology books on relationships. 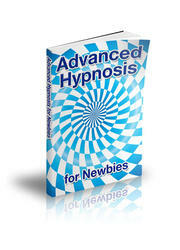 After college, I got even MORE into studying Hypnosis, Persuasion, NLP, Psychology, Negotiation, Sales... you name it. -Anything that I could apply to Seduction. And my results started getting more and more consistent. I've spent HOURS upon HOURS learning this stuff and actually DOING IT. What's more is that I found a group of friends that also had the same interest in this stuff and we all learned and taught each other. I've listed these guys in the special thanks section. This book is about Charisma - among other things. 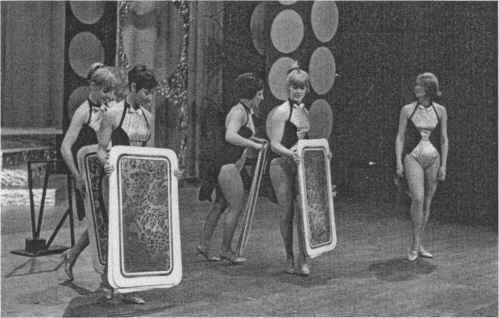 It's about skillful human interaction and most of all, about "Game". So what is this thing called "Game"? Well, have you ever interacted with someone that you were just drawn to? Maybe you felt an underlying sense of trust and comfort, and maybe there was certain "smoothness" in the way that they interacted with people and the way that conversation just "flowed"? And people were just drawn to this person -naturally. And the more time that you spend with this person, the more you feel a connection - like both of you are coming from the same place... where time just seems to stop and you're completely wrapped up in the moment -engaged and captivated. Having "Game" is about being able to create these kinds of connections wherever you go -with whoever you meet. Now how would you like to have more Game? The underlying principles discussed in this book can be used in virtually any social context - from dating, to the job, to social interactions with friends. Now "Game" can be further divided into "Inner game" and "Outer game". I've done extensive modeling of people who have Game and you can think of Game in terms of process and product. Products are the surface level expressions of deeper intangible processes. It's like when you see ripples on the surface of a pond, and you realize that there are deeper undercurrents which are causing those ripples. Processes are those deeper undercurrents. I first of all present a Mindset. "Inner" game -these are the internal beliefs, attitudes, and values that naturally flow from a sense of who you are, your identity, and your sense of self meaning. 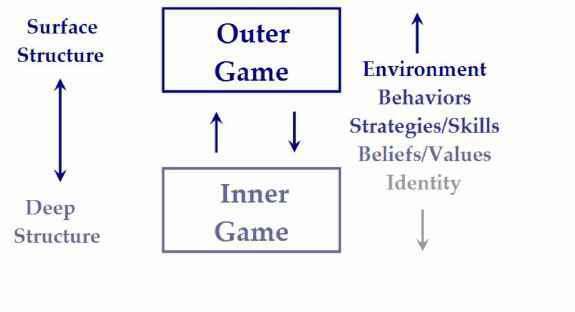 "Outer" game skills flow naturally from a good "Inner" game. I next present a Skillset. "Outer" game - these are the capabilities, behaviors, skills, and strategies that create results. Outer game can feedback into Inner game as well - so that whether you focus on Inner game or Outer game first, realize that the two are tied into each other and that your focus is what's important. Whenever you see someone who's doing something that works, look deeper. Look for process as well and you may just find something useful. It's kind of interesting to notice that although the "outer game" may vary among those who are successful, the "Inner game" is often very similar. Now who is this book for? This book is for anyone who wants to improve their "Game". If you're a Salesman, Marketer, Actor, Entertainer, Politician, Lawyer, Doctor, Public Speaker, Teacher - then your people skills are vital - read on. If you're in the "Dating Game", then you can use this book to take it to a whole new level -read on. If you want to form a deep connection with someone, or with groups of people then read on. As humans, we need human interaction to not only satisfy our needs for connection, but to help us define who we are and to make meaning out of our lives. We are continually connecting and finding similarities and differences between ourselves and others. Connection is what makes us human. Improving your "Game" can take this to whole new level.